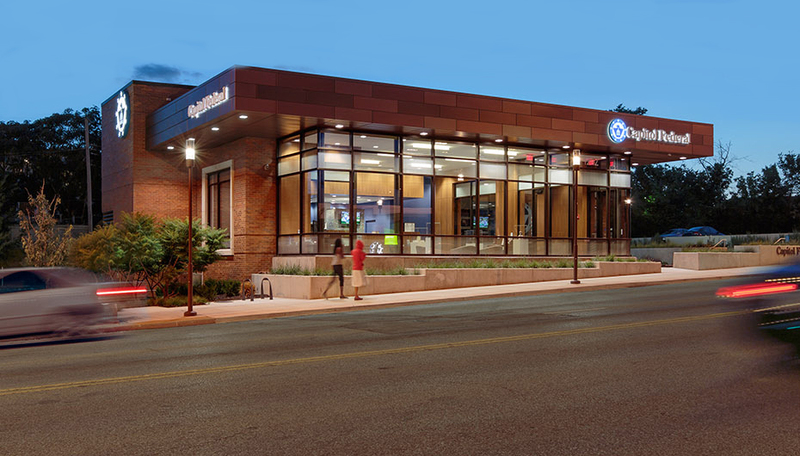 A 2,500 square foot full-service bank that includes two drive-up lanes with video teller features. There is a drive-up and walk-up ATM both open 24 hours a day. The project consists of two main components associated with energy efficiency. The building is equipped with a low voltage lighting control system which consists of occupancy sensors in offices, restrooms, utility rooms, break room, copy room and the vault. On the HVAC side, the building utilizes an underfloor air distribution system. The underfloor system’s energy efficiency stems from two major design features: fan speed and discharge air temperature. The underfloor system moves the air at a lower speed, thus reducing fan power consumption. The system produces cooling air at a higher temperature than a traditional overhead system, thus reducing the cooling power consumption.